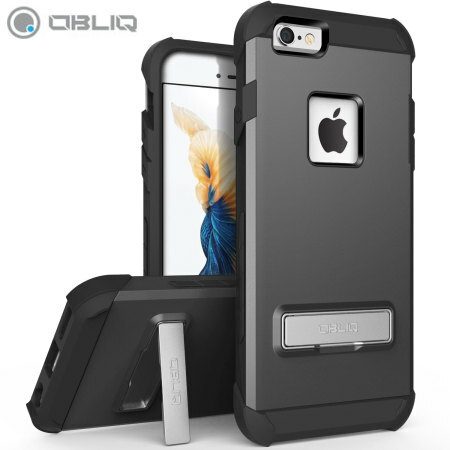 The Obliq Skyline Advance Stand Case in grey is a hybrid ergonomic protective case for the iPhone 6S / 6, providing fantastic shock absorption without adding excessive bulk. 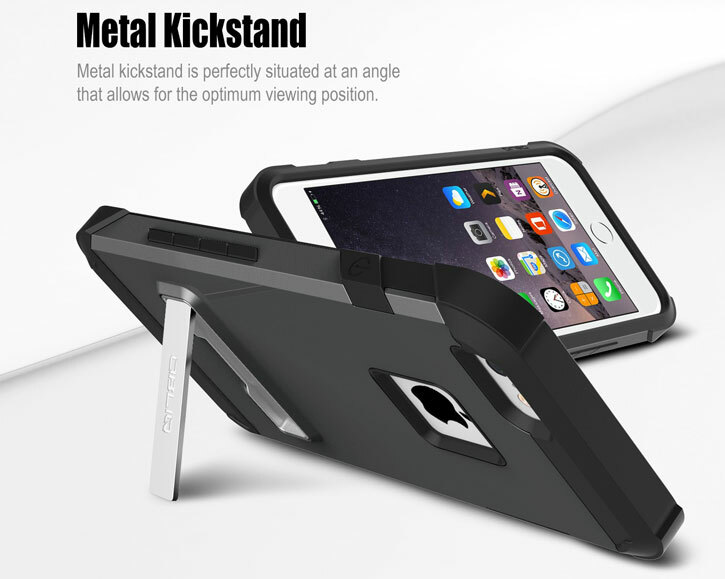 It also features a metal kickstand stand for viewing media and web browsing. 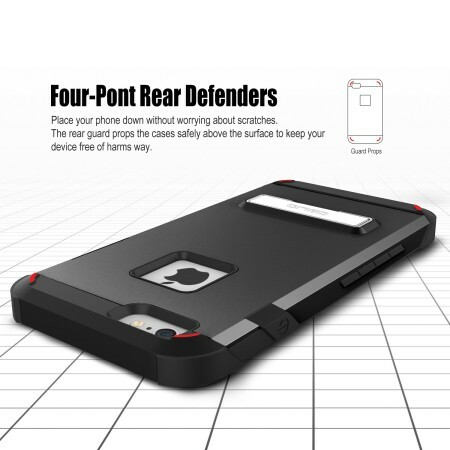 Sturdy and strong, very good protective case. The pull out stand is genius! Eye-catching, highly recommend. 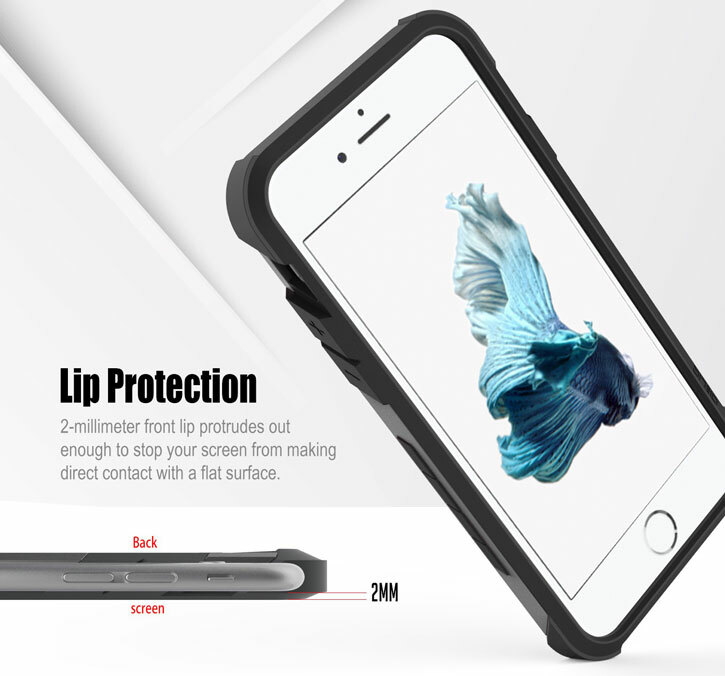 The Skyline Advance case for iPhone 6S / 6 is a dual layered TPU and a polycarbonate case that provides excellent protection in a stylish lightweight design. 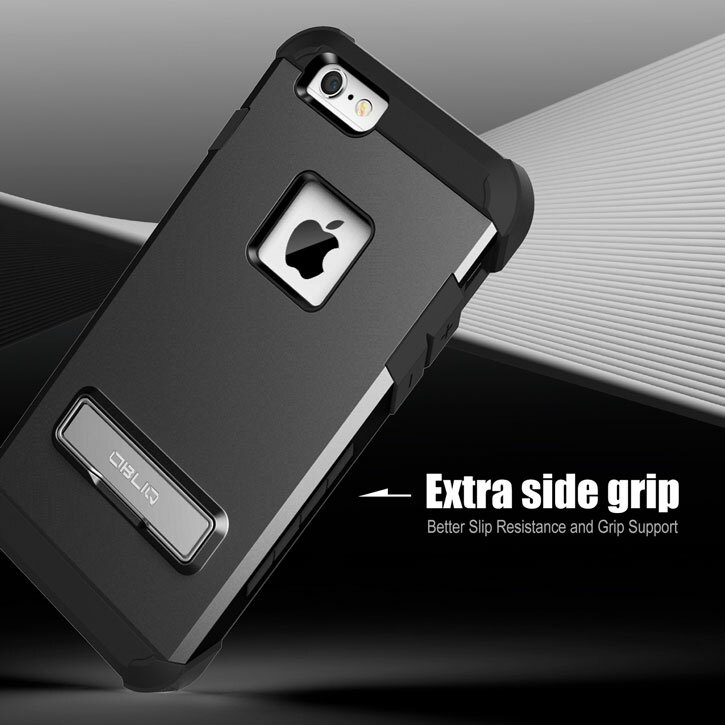 The chamfered edges features shock absorption which deflect energy away from the phone in the event of a drop. 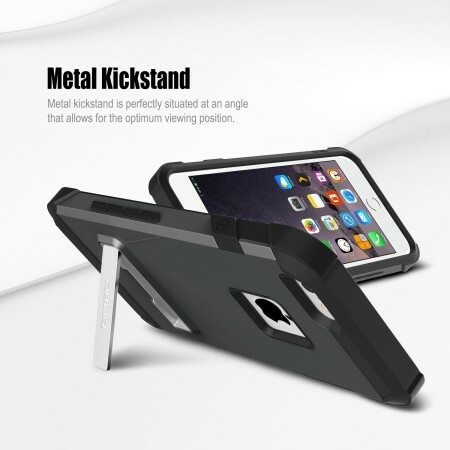 The corners are also reinforced for extra protection so you can rest assured that your iPhone 6S / 6 should remain unscathed where other cases fail the test. 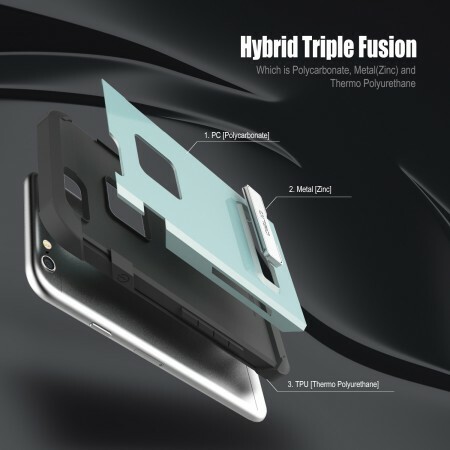 The main layer of TPU is strengthened with a plate of hardened polycarbonate to resist scratches. This case comes with a handy flip-out stand, that sits flush into the rear of the case for convenience, ready to be called into action in an instant. When you wish to view media or browse the web, simply flick the stand out and stand it on any flat surface. Easy! 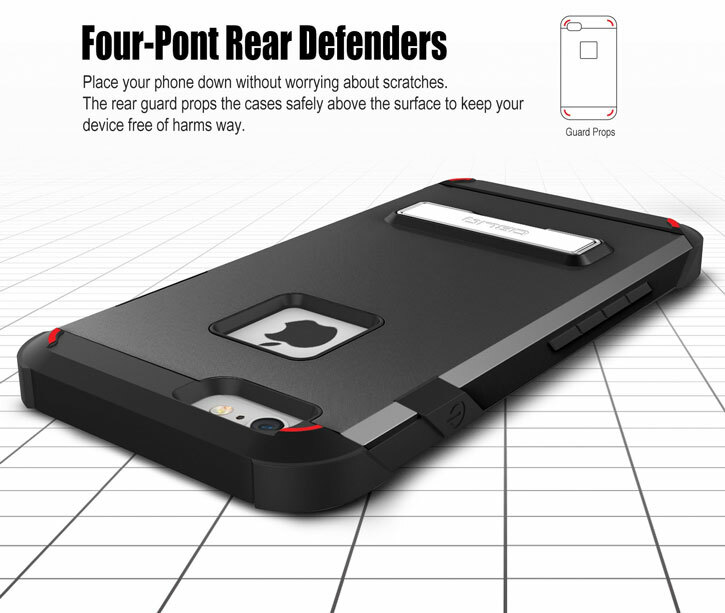 The Skyline Advance features a cut-out for your iPhone 6S / 6's Apple logo. 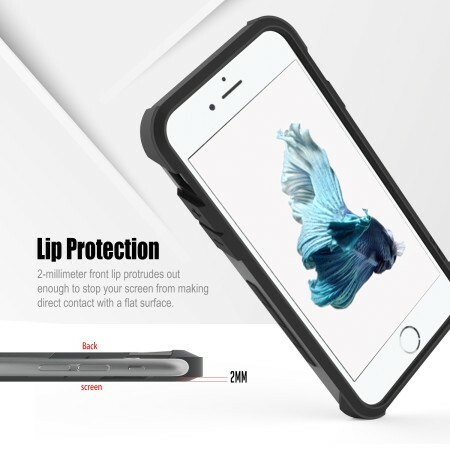 Not only does this reduce the weight further without compromising on protection, but also allows more of your phone's styling to shine through. To help protect your screen, the Skyline Advance features a raised chamfered bezel - reducing the likelihood of scratches and other damage when you place your phone face down on a flat surface. The case fits precisely onto the iPhone 6S / 6 for a natural and sleek look, preserving the slim lines of your iPhone as Apple intended. 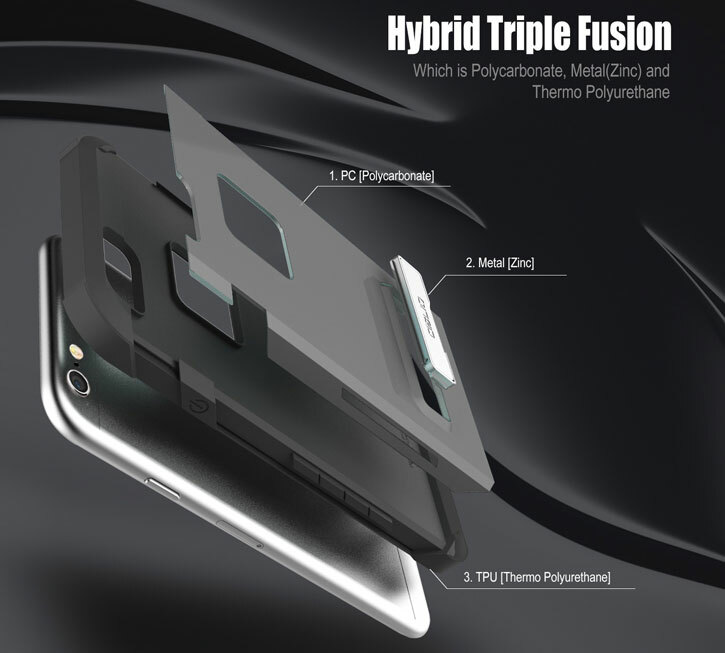 The case also features cut-outs for the ports and features of the iPhone 6S / 6, including the lightning connector and camera. There is also extra protection for the side buttons with rubberised TPU sections that still allow for full and easy use.